Sidd Sinha, 31, proposed to his girlfriend, Melanie Diaz, 29, on May 26. 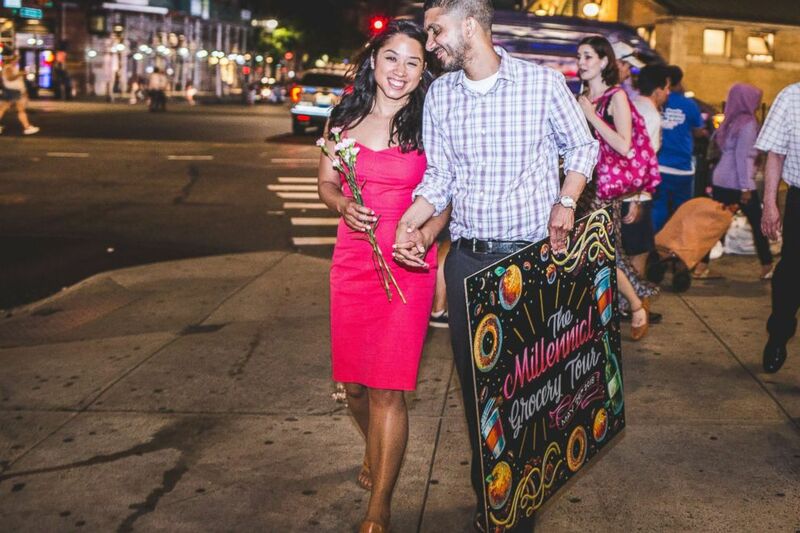 This couple's engagement story is every Trader Joe's lover's dream. Sidd Sinha, 31, proposed to his girlfriend, Melanie Diaz, 29, on May 26 at the grocery store's Upper West Side location in New York. Sinha told "Good Morning America" that he brought Diaz on a made-up "millennial grocery tour" that Trader Joe's agreed to set up. "One day Melanie had a dream where I proposed to her at a grocery store," Sinha said. "She's made it perfectly clear that Trader Joe's is her favorite grocery store so I knew if I went that route I had to do it there." 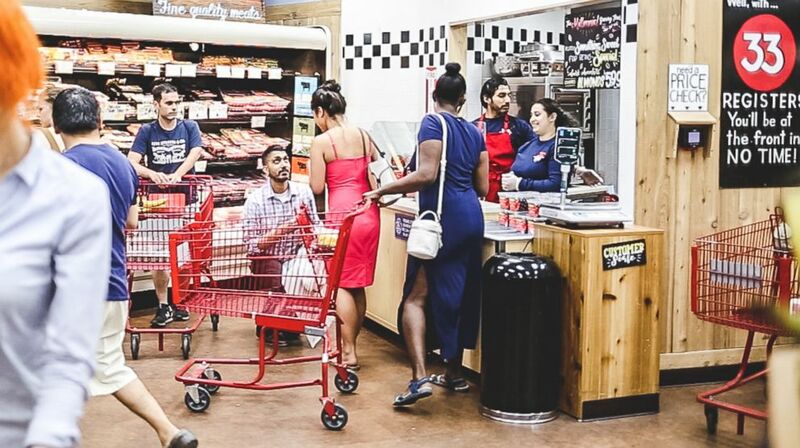 (Marie Tony Photography) People were shopping at the Trader Joe's as Sidd Sinha, 31, proposed to his girlfriend, Melanie Diaz, 29, on May 26. (Marie Tony Photography) Sidd Sinha, 31, and Melanie Diaz, 29, met on the dating app Coffee Meets Bagel. 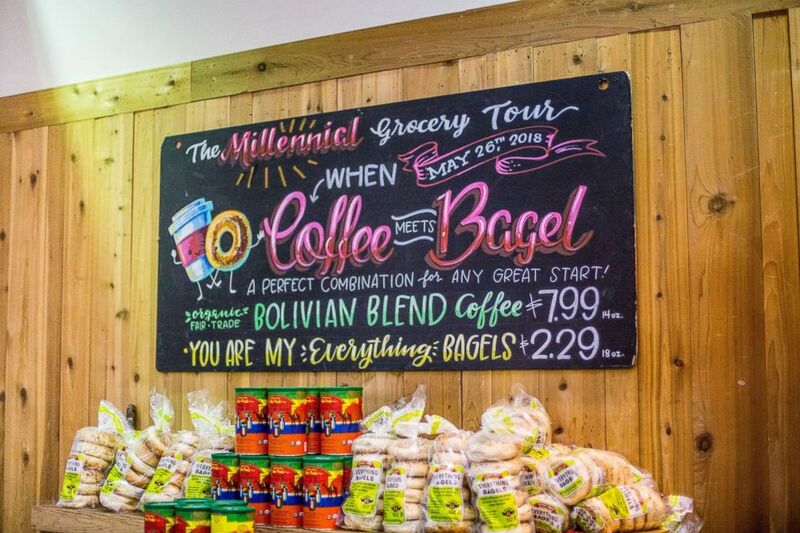 The fake tour, featuring signs that were symbolic of her relationship, led Diaz around the store before Sidd got down on one knee and asked her to marry him. Photographer Marie Tony snapped pictures as real shoppers applauded the exciting moment. Diaz, who loves the Trader Joe's chain, said she became suspicious as she read the colorful signs and saw employees passing out flowers. (Marie Tony Photography) Sidd Sinha, 31, and Melanie Diaz, 29, currently live in Stamford, CT but are looking to move to New York over the summer. 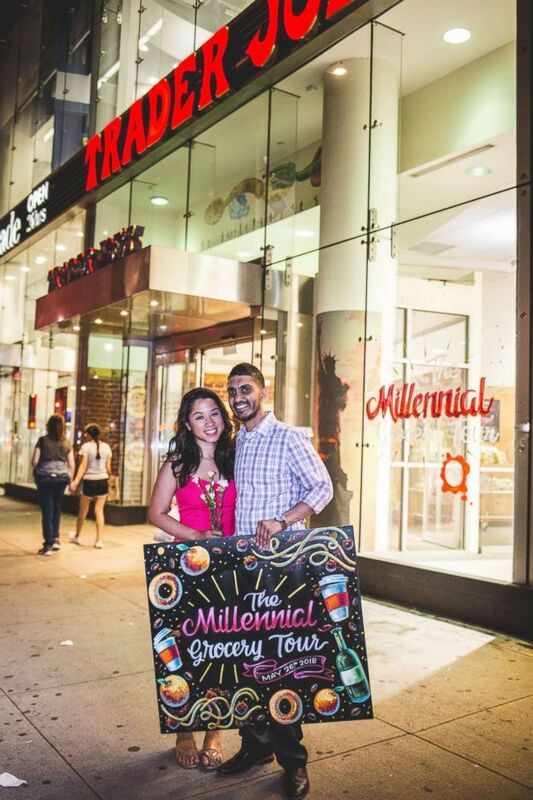 (Marie Tony Photography) Sidd Sinha, 31, and Melanie Diaz, 29, got engaged at a Trader Joe's in New York City in May. "Then we were going into another aisle--it had a sign that mentioned the San Gennaro festival, which is festival I love and an event Sidd and I have both been to," she wrote in a statement to "GMA." "Then I started hearing 'Lady Marmelade' playing from the store speakers, which my brother told Sidd was once my favorite song. At this point, I started to freak out because there were too many coincidences for this to be an accident." 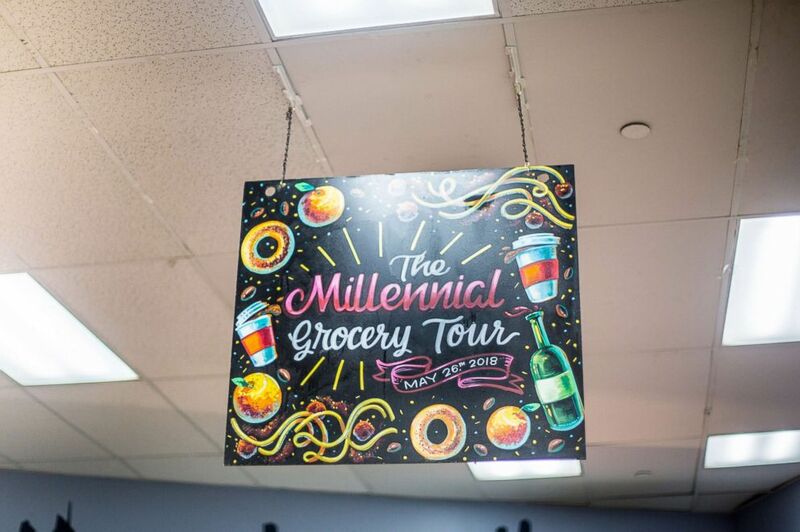 (Marie Tony Photography) Sidd Sinha told "Good Morning America" that he brought Diaz on a made-up "millennial grocery tour" that Trader Joe's agreed to set-up. 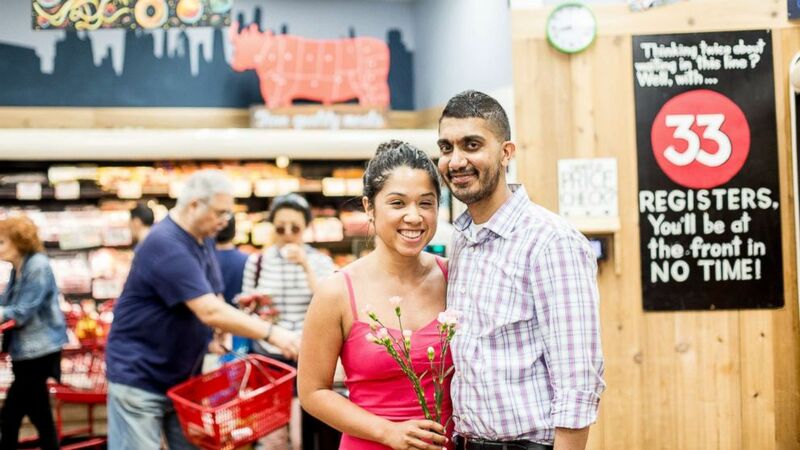 (Marie Tony Photography) Sidd Sinha, 31, proposed to his girlfriend, Melanie Diaz, 29, on May 26 at New York's Upper West Side location of Trader Joe's. Toward the end of the tour, a worker gave Diaz a free sample of chocolate-covered almonds. Inside the small cup was an engagement ring. "I gasped," she said. "I looked up at him. He took the ring, pointed to the sign behind me which read, 'Melanie, Will You Marry Me?' He asked, got down on one knee, I turned toward him and I said yes!" 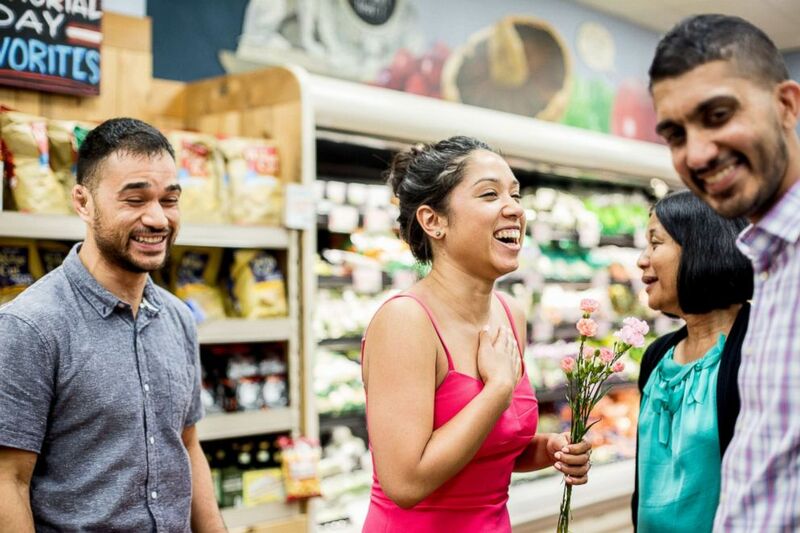 (Marie Tony Photography) Sidd Sinha said his girlfriend Melanie Diaz had a dream that they got engaged at a grocery store, so he made her dream come true. The couple's friends and family were waiting next door to celebrate. The pair hope to make their wedding as fun and unique as their engagement, they said.